See that pretty box? That's our 'we should box'. 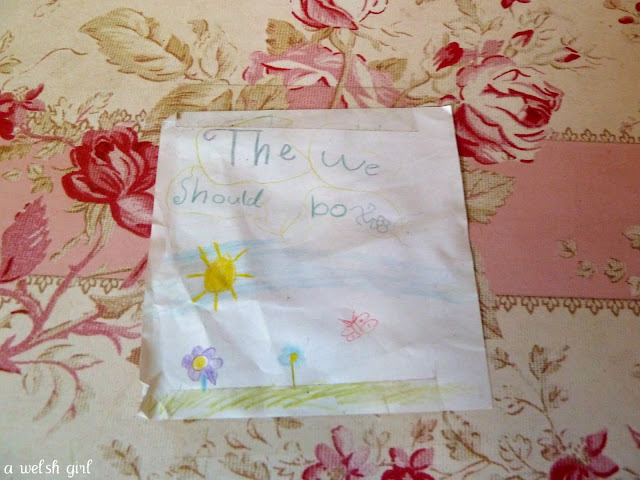 Do you ever utter the words - "we should..."? Well, in this house we kept on saying those little words over and over. "We should go for more walks on Sundays..."
"We should do this, that and the other!" Quite often during school holidays or at weekends we would ponder the day ahead and try and think of things to do. 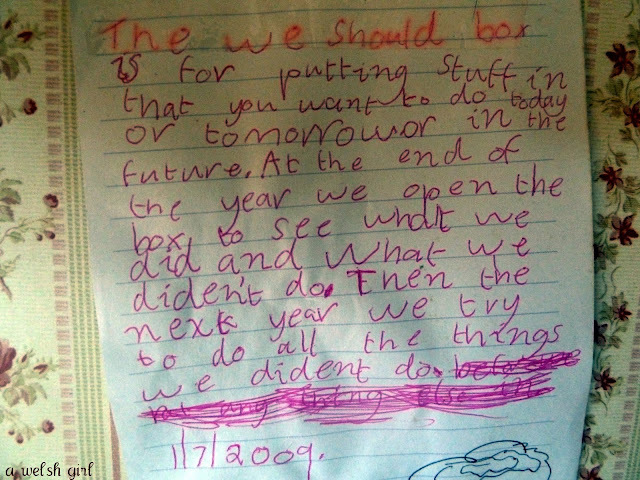 So a couple of years ago my then six year old took it upon herself to help with this pondering and so developed the 'we should box'. 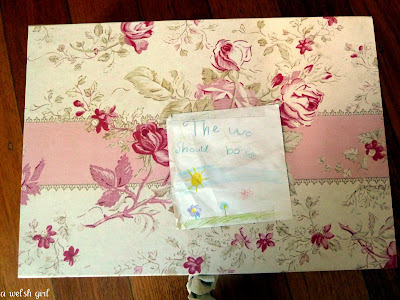 We bought a pretty box and she wrote out the instructions. You know what it's like - you'll get a great idea and then a few months later it comes back to you and you think "we never did that thing". Well this is supposed to capture the ideas and get us to actually do the stuff that we keep talking about! It's not foolproof, but it is a little bit more fun than writing a list and I like the fact that it involves the whole family. We tend to just write the fun activity type things rather than the more mundane - "we should sweep under the beds" type of chores....Maybe that's another idea for another box?? With the Easter school holidays approaching I will invite our 'we should box' to dinner this week. I think it's looking a bit bare as we have neglected it somewhat recently. 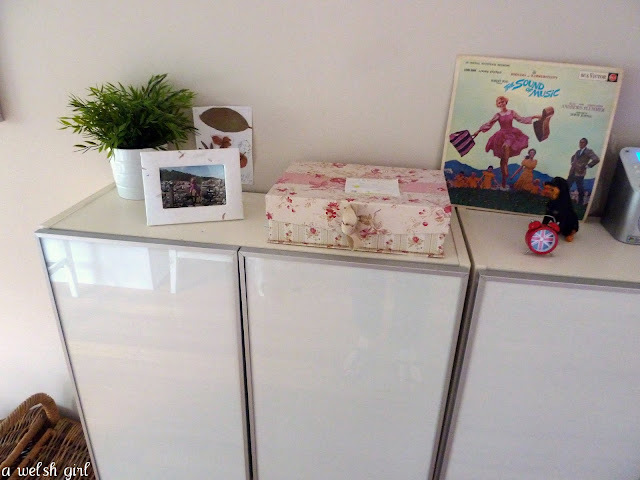 It was a conversation with a friend yesterday that prompted me to write this today and re-introduce us to some ideas written during the last few months. 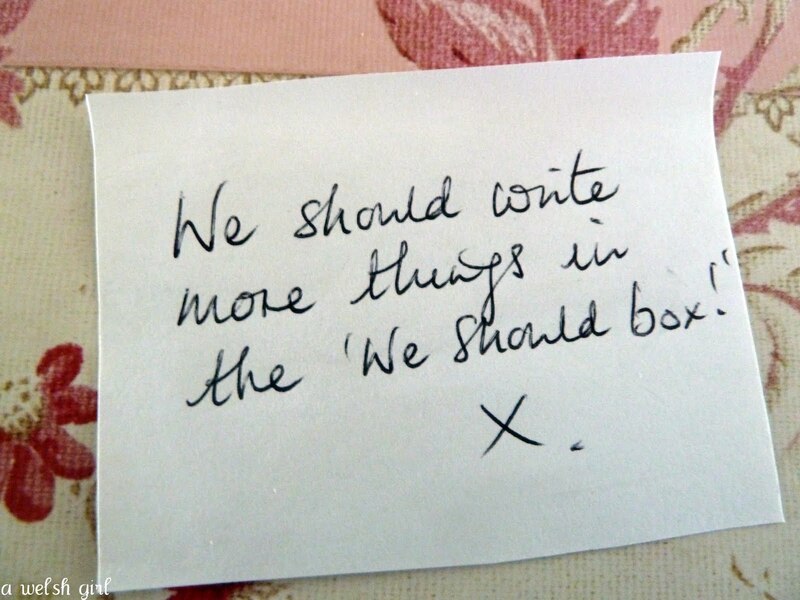 Maybe if a 'to do list' is just a bit too scary, then a 'we should box' could work for you too? great idea, I should improve my handwriting to look like Bethan's and I should get a we should box! Excellent idea ! I have the perfect box in mind...although I suspect my boys suggestions will run along the lines of 'We should buy more Lego, eat more ice cream, etc.'! Excellent idea. I think we will action one here. My only concern is that once it's in the "we should" box, it's likely to be forgotten about? Putting to do lists somewhere public makes them less easy to avoid? That is such a terrific idea! Love how the "rules" were written by your daughter too! Glad you added your link to the party, thanks for joining in at Beach Cottage Good Life Wednesdays!